LinkedIn is an incredibly powerful social media marketing platform and it’s the number one network for professionals. Yet so many people using LinkedIn are doing it the wrong way. Users are making useless connections, don’t know how to properly connect with others, don’t understand quid pro quo, have poorly written profiles, etc. Because of these reasons and more, I’ve created a powerful guide for growth on LinkedIn marketing best practices for your business or startup. LinkedIn is such a potent platform for startups because of its huge user-base of professionals, its networking capabilities, its search functions, its amazing personal profile features, and its social media capabilities. The ability to develop and grow using LinkedIn is incredible. 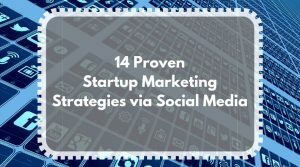 You won’t want to miss reading the best practices covered in this article because I show you some great techniques to get stellar results. I’ve saved the best for the last section! Therefore, it’s because of those reasons, it has become a premier destination to meet new professionals in your area or anywhere in the world. You can enhance multiple different elements of LinkedIn to make them more potent with their premium plans, but for most startups just starting out, they’re not particularly necessary. As you can see above, these are nice-to-haves, but they don’t make or break the using the platform. Even without a premium plan, LinkedIn is an incredibly effective platform for B2B relationships, leads, recruiting, brand awareness, and last but not least — sales. Paying for LinkedIn is not something you have to do unless you really need to because it has a robust set of free features already. You don’t have to pay for a membership to do LinkedIn marketing, either. You can do organic LinkedIn marketing for free but if you want to get ads on LinkedIn to see faster results, then you’ll definitely have to pay for them. Otherwise, you’ll discover several other ways to use LinkedIn for marketing in this guide that will help you reach your goals. With LinkedIn, you can perform people searches for people in your area or a preferred region. You can’t get any effective results with Facebook’s search feature, though. A search for “co-founder” on Facebook showed an underwhelming 17 results. However, on LinkedIn, the same search yielded 1,121,184 results (1/29/18). If you’re a B2B business and co-founders are your target customer, then LinkedIn is where you need to do your marketing and lead generation. Twitter might provide between several dozen to a few hundred search results, depending on the search criteria. While Twitter is better than Facebook in this respect, it still doesn’t offer the huge set of search functions that LinkedIn does. And, Twitter doesn’t have the professional aura that LinkedIn does. However, Twitter wasn’t built for business; LinkedIn was. LinkedIn wins hands down for search results and for its filtering capabilities. LinkedIn was designed with the intent that you can only contact first degree connections unless you use their InMail function, which is a paid feature. However, there’s a back-door that you probably already know. You can message someone you’re not connected with from within your connection request to them like the example below. No links are allowed in connection requests but they’re not necessary anyway. As you can see, you can also reply to that person. If you don’t reply, then their message will not go into your inbox after you accept their connection request. However, with Twitter, you can only privately contact someone through direct messages after they follow you back. When that happens, you can also have endless communication with that Twitter user. But Twitter is for both personal and business, so communicating with people can be a mixed bag. The only workaround for Twitter is to mention someone publicly in a tweet. What’s more, Facebook allows you to set your privacy features and how people can contact you via direct message. However, you usually need to be Facebook friends with someone to talk with each other. Otherwise, those messages will be filtered or go into “message requests” and you don’t always get notifications for those. LinkedIn also has the edge for B2B lead generation from direct messaging. 79% of B2B marketers see LinkedIn as a great source for getting leads — straight from direct messaging. While LinkedIn doesn’t have a message requests section, all of your messages go into your Inbox (aside from those in connection requests). Since LinkedIn is a purely professional social media platform, it has the edge when it comes to finding and messaging the right people to network with for your business or startup. LinkedIn has 530 million users (as of 2018). As you’ve probably noticed by now, LinkedIn is amazing for professional social media marketing, especially for B2B. Now let’s get in to LinkedIn marketing best practices in the following section. Write your profile like you would a resume. Don’t just include company descriptions for your previous jobs. It tells the reader nothing about you and your performance history, regardless of whether you’re looking for a job or not. The reason this style can be so effective is because other potential partners in business or future clients might want to see a history of success from you. However, without further explanation per job position of yours, they will know nothing about it. I get a lot of direct referral traffic from my LinkedIn profile and you can too if you do it right. The best way to enhance each description is to write down the actions you took at the job, how it helped the company (any numbers or % increases are great), and what software/hardware you were using to complete those actions. In your summary, you have a great opportunity to impress people, as that’s one of the first things they’ll see in your profile. Write about what drives and motivates you. Write about the things you are best at in business. Talk about what your goals and aspirations are. One of the main reasons people connect with you is based on your profile. I get several connection requests a day and people have asked to mimic how I wrote my profile because of this. Fill out your entire profile to the best of your ability. LinkedIn will tell you how much more you need to fill out to complete your profile. 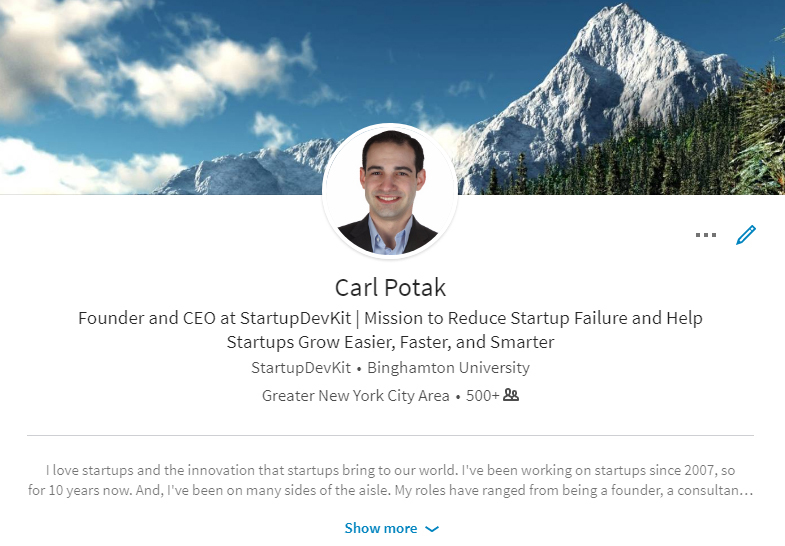 Post links to your current project, startup, and/or business in your profile description and your position descriptions so people can find your business easily. In addition, you should have a headshot of you as your profile picture. The clearer the better. A lot of people have pictures taken in public with portrait mode, and those photos work great, too. Wearing professional or business casual attire is usually the best for your profile. Don’t forget to smile and make good eye contact with the camera! Take my profile for example in the picture below. Posting status updates are awesome because there’s so many things you can do now. What can you post as your LinkedIn status? Original content as long as it’s 1300 characters, including spaces. Videos — Yes LinkedIn now supports videos in your statuses! Post an article or post of yours that’s on your website or from your LinkedIn articles. Talk about something that’s engaging and relevant to your target audience. You can ask questions via your status update for extra engagement, too. Tagging a few people when you do this can help increase engagement in the beginning, which can lead to continued and sustained engagement via likes and comments. You could post small summaries or checklists for relevant tasks. Any other text-based content you can think of. The single-best way to post that consistently is by automating the process with social media management tools and schedule your posts in advance. Post status updates to your company page & personal profile status at least two times a week, but doing so every single day is ideal. The more you do it, the more relevant you become in people’s heads. If you can’t post every day, then post as often as you can. Maybe you can post every other day, but either way, create a content publishing schedule and publish your posts in advance to get the most out of your LinkedIn marketing. The more posts you automate, the more time you’ll have to do direct engagement with others…or other things you need to do. Moreover, the best way to go about this is by making a LinkedIn marketing plan, which will include your content publishing and content posting schedule among other things. 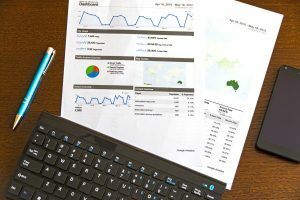 Your marketing plan will also include who your marketing activities, your key performance indicators (KPIs), your traffic goals, and traffic goals for each piece of original content you market. Storytelling has become a huge hit on LinkedIn and Facebook. The art of storytelling through LinkedIn status updates has shattered status updates of old and many of them have gone viral and continue to go viral. 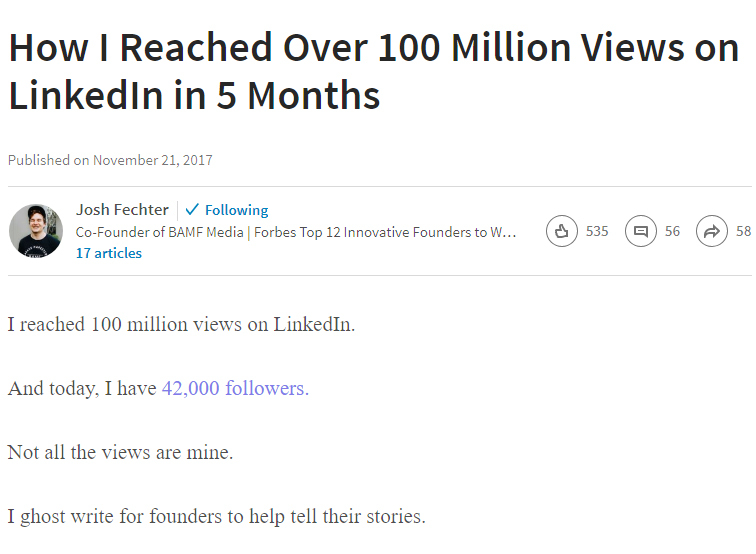 The virality of the posts are, in part, due to individuals with enormous amounts of connections and followers on LinkedIn like the individual below, Josh Fechter. He has the maximum amount of connections, at 30,000, and has more followers than that. Many of Josh Fechter’s stories were purposely written to be controversial and draw a lot of engagement, but many were not. In fact, on my news feed I’ve been seeing a ton of influencers that have been posting these stories, so it’s not just Josh, and you can mimic their styles too. The goal of these stories is to portray one theme for each story. Each story should be powerful in its own way. They should contain “ah-hah” moments, realizations, lessons learned, anecdotes about something compelling, or even controversial content to drive virality. The character limit for posts with spaces is 1300, so make each sentence count! Try to make your sentences short and to the point. Moreover, put a space in between each sentence for readability. You can tag people into the conversation of your status update like you would on Twitter by using the @ symbol and then their name. By engaging with other relevant users who you’ve tagged, they’re more likely to like, comment, and/or share your status update. And, when they do any of the above, it strengthens your post’s ranking position within the LinkedIn algorithm at the same time. The more comments and likes you get on your post, the more it shows up in other people’s news feeds. Moreover, it’s more likely that your future posts will appear more on the news feeds of same users that engaged with previous posts of yours. Create a list of the people you would most likely want to engage with so you can save time and energy trying to figure out who to engage with for future posts. Just go through your connections once and create a spreadsheet. Then mention them by asking what they think on the topic. Getting their insight could go a long way. Another method of engagement is by commenting on other people’s status updates and group posts, especially the newest ones. However, even commenting on some slightly older posts will boost that post’s ranking and it will be more likely that it could be brought back to life. And, you can also mention users when you’re commenting in someone else’s status update. Find & post in industry-specific groups that will drive website visits & email list signups. Always provide value in some way, whether it’s by a comment, just posting information without a link, or posting a link to a relevant article on your website or someone else’s website. Many groups require some forms of consistent activity before you post your stuff in there, and most of them are moderated, so your posts will need to get approved by an admin or moderator before it goes live. If you become friends with the admins of the groups you want to participate in, then along with a hopefully fruitful friendship, you’ll have a much higher likelihood of getting your posts posted, too. From my experience, I’ve never heard of someone doing really well with their marketing efforts by just focusing on LinkedIn groups. However, LinkedIn said in January of 2018 that it’s planning on making big changes to their groups to increase engagement within them. Try experimenting by being very active in one or two groups for a two to three week period of time and see how it works. Comment, like, share, etc. 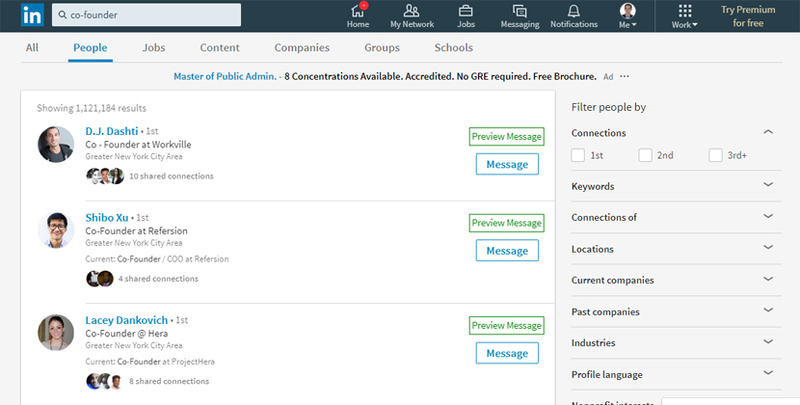 Identify key leaders and influencers in pertinent industries using LinkedIn search. Then engage with them by introducing yourself via a message or inmail and share a tidbit of your business information with them. Ask if there is anything they need help with, share a few ways you can help them, or ask them what their goal is for using LinkedIn or for their work. Try and show value to them and work on creating a relationship in which you both mutually help each other. Use LinkedIn to research prospects that would be most likely interested in your product/service. Contact them through InMail or connect with them and write a short note in the connection request that states your intent. This will work better if you can do something for them, too. It could be as simple as providing a valuable PDF guide of yours to them or helping them with an aspect of their business. Give them incentive to want to interact with you and check out your service/product. As a basic member you can get a few free InMail messages, but after that, you must be a LinkedIn premium member to use it. LinkedIn is the Holy Grail for business development. Anyone that’s serious about their business is on LinkedIn, and that’s a fact. Automating your LinkedIn connecting will make the world’s difference for you and your business. It does what a human cannot do, and will save you incredible amounts of time. For instance, you can auto-invite people to your network which includes a personalized message that would be sent out to all who you invite. This is one of the most coveted aspects of all LinkedIn Chrome extensions. 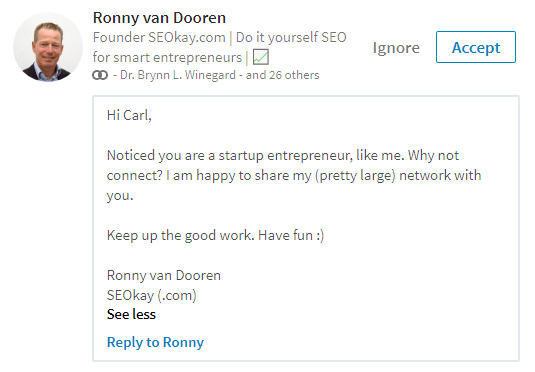 Warning: LinkedIn knows about these extensions and are sending out messages that it violates their terms of agreement. Not everyone has received these messages, but I would be cautious and use these at your own risk. 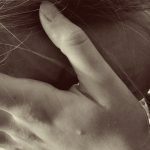 See blacklisted extensions here. Linked Helper – Plan pricing: $15/mo, $40 for 3-months, $60 for 6 months, $99 for 12 months. Linkelead – 7-day trial with full functionality. After that, it’s $49/mo or $199/year. Dux-Soup – Free forever starter plan which allows you to auto-invite up to 100 people per day. Then plan pricing is: $14.99 per user per month or $11.25 per user per month billed annually. Posting articles on your profile is an amazing way to bring traffic back to your website and demonstrate expertise in a domain or on a subject. You can post projects or slide decks as well, but articles can link back to your content on your website and projects or slide decks cannot. All of the content you publish on your profile continues to establish yourself as a leader in your niche. You can also market that article from your LinkedIn profile anywhere on the internet, whether it’s marketing in LinkedIn itself, other social media networks, or wherever. That means you’ll be driving traffic to your LinkedIn profile article. LinkedIn has preference to keeping users on its website within its algorithm. So, if you’re posting status updates with links to your content from within LinkedIn, then you’re going to have more eyes seeing your content. The best practice is to post the original article headline and the first several paragraphs, or sections, of your article. You get to demonstrate authority on a particular subject by having the post on your profile and it acts as a backlink for your website and your post. This, in turn, increases the post’s ranking on Google. However, instead of posting a direct link, you should be tracking where your traffic comes from. 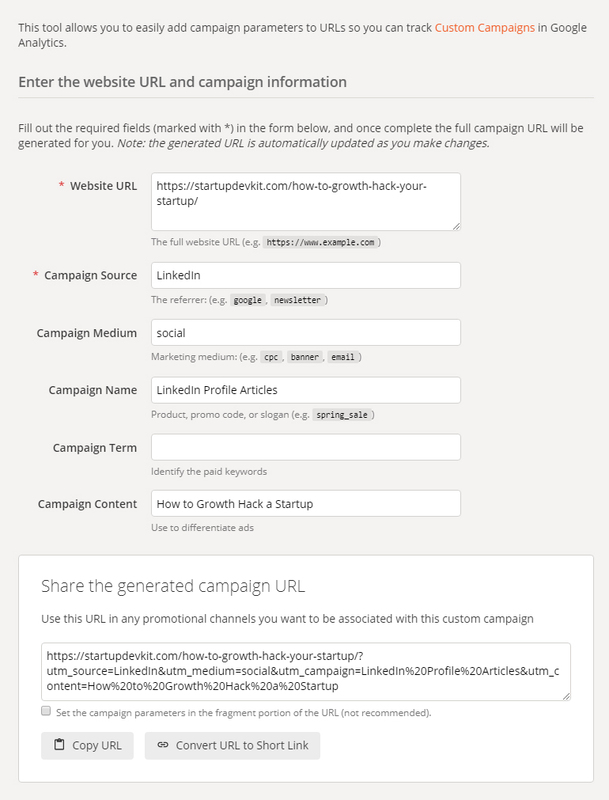 You can do this by using Google’s URL Campaign Builder, and below, you’ll see what it looks like. Now think about this: If you perform the above actions for every single article you write — leading readers back to your website, then you’re going to be generating a lot more traffic if you’re active on LinkedIn. Spread out the article publishing so they don’t all get posted at once. Consistent posting over time will yield you better results. Use your existing network of contacts on LinkedIn and individually contact them and network with new people on LinkedIn. The content of the messages varies based on what your goal is and who it is that you’re contacting. Is your goal to find business partners? Are you looking to create business relationships? Is it to hire new people? Are you looking to drive traffic to your website? Would you like to get feedback on your product? LinkedIn is a networking tool first and a marketing tool second. You want your message to be relevant to them and you should always offer to help them, whether this is setting up an introduction with one of your existing contacts, using your expertise to help them in some way, asking them if they would like to guest blog and put some of their posts on your site, etc. A lot of people email and direct message me or request to connect and ask me to do things for them. Rarely do I get people telling me what’s in it for me. My time is valuable. Why should I do something for them if I’m not going to get anything in return? How is it going to help me? It may sound selfish, but you can’t talk to everyone. Your goal should be to create mutually reciprocal relationships so you both help each other. Always find an angle to help them if you’re approaching others for something you want. It’s not only about you when you email or approach someone new. If I’m emailing someone new, I’m going to try and connect over some commonalities and or share something that I can do for them, especially if I’m asking for something in return. Unless you’re somebody everyone wants to connect with, then I’d advise against sending blank connection requests. Instead, write a note with your request and tell them why you want to connect with them. Just saying you’d like to connect with them gives you no opener to a conversation — no reason why. Saying you want to explore opportunities to work with each other is still non-committal and a time-waster. Instead, say you have a few ideas of how you can mutually help each other. Compliment them too. It makes them feel good. Do your best to make people feel good in your life. It will get you places. Look, if someone asks something from you and it’s something really small and you have the resources to fulfill their request, then do your best to help them. Your good graces can go a long way, but maybe ask them to share a post or two of yours in return. They probably will. If you can’t help them, then politely decline them and wish them good luck. Moreover, now that you understand the best ways to reach out to people, start requesting to add new connections! While this isn’t a marketing tactic, we can’t run away from the fact that recruiting has and will always be a big part of LinkedIn. As a previous technical recruiter, I made great use of LinkedIn through its search engine and you can too. However, it’s not limited to use by recruiters and startups can easily make use of it and its search functions as a tool to find new teammates. First, you select the area where you want to find someone. Then, you type in a keyword or two, or a title/position to narrow down the search to find those people. Then simply connect and write a note in the connection request to see if they’re “looking for new employment opportunities for a great position doing…” That’s the free way. You can use LinkedIn ProFinder to help you find who you need for more advanced functionality, but that costs money. Additionally, you can pay to post jobs and that will almost always yield applications. 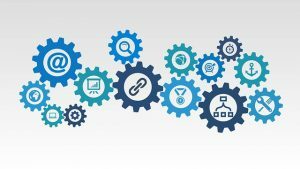 Creating and using ads are traditionally a good way to get traffic with minimal time investment and maximum scalability. I’ll refer you to the experts at Kissmetrics to share best practices for using ads on LinkedIn since I’ve never placed ads on LinkedIn before. Similar to Facebook, you can sponsor posts from your company profile on LinkedIn like you could boost posts from your company page on Facebook. Company profiles of small businesses are some of the least viewed parts of LinkedIn. This is likely because LinkedIn wants you to pay to advertise your company profile. And, small businesses aren’t putting money into LinkedIn advertising. However, when you’re a startup doing LinkedIn marketing, you should be posting updates on your company profile because you can get more traffic back to it. You want followers, you want clicks on articles, likes, and comments. Anything that enhances your ability to get any of those will be positive for your business. Some ways to get greater traffic to your company profile are to mention your company in a status update or article of yours and link it to your company profile. In addition, one of the LinkedIn marketing best practices for company profiles is to post status updates from your company profile containing articles you’ve posted on your profile, which link back to the full post on your website or another blog. It will tell you what your organic reach is and other stats like engagement percent, number of clicks, and the number social actions taken. You can post other relevant content from trusted third party sites on your company profile, too. Doing this shows you’re willing to provide valuable content even if it isn’t yours. As mentioned in the last section, you can sponsor posts from your company profile, which brings more traffic and attention back to the company profile. 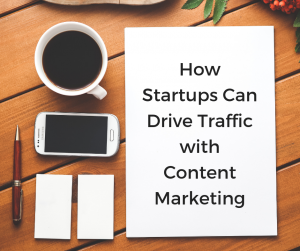 Thus it’s likely that more users will follow your business page if they like your content. LinkedIn is an excellent social media platform but was designed to be used for business. That’s what makes it so great for business. 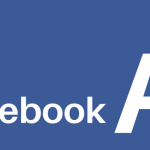 Yes — Facebook has 4x the user-base (2 billion), but it wasn’t designed for business. Twitter has more users and more monthly active users than LinkedIn too, but that’s a completely different kind of platform created for quick social interactions. But LinkedIn, on the other hand, has been the king of professional social media. And, it has a lot of great features to back that up. So hopefully you now have a solid understanding of how LinkedIn works and of LinkedIn marketing best practices to grow your business. 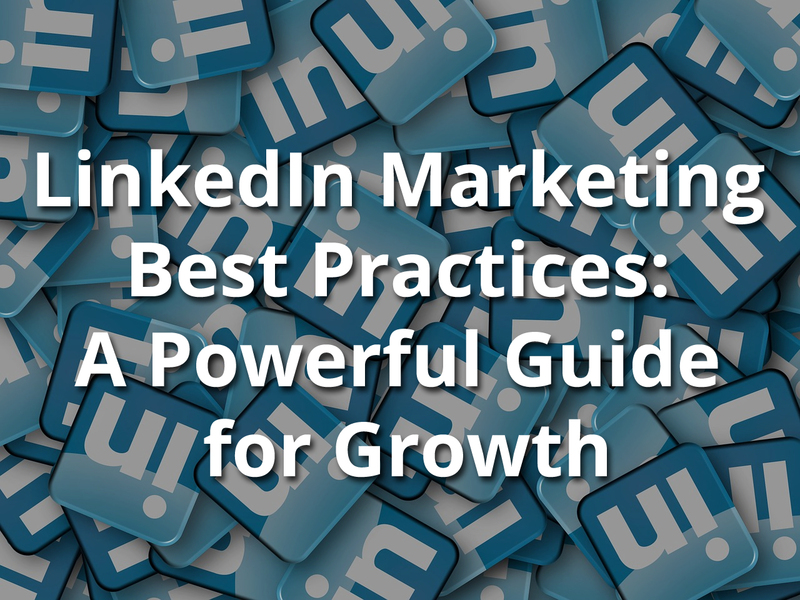 What have you found particularly good for achieving growth on and from LinkedIn?